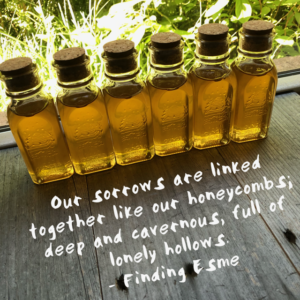 In FINDING ESME (Greenwillow Books Aug 14 2018), The McCauley family has had a long history of raising bees in the wilds of the woods of north Texas. Esme’s grandmother Bee and her sister Sweetmaw are even named after the family business. Esme has always been deathly afraid of the bees; to her they represent the sorrow and loss she has long felt towards no-good daddy Harlan who has been missing for three years. 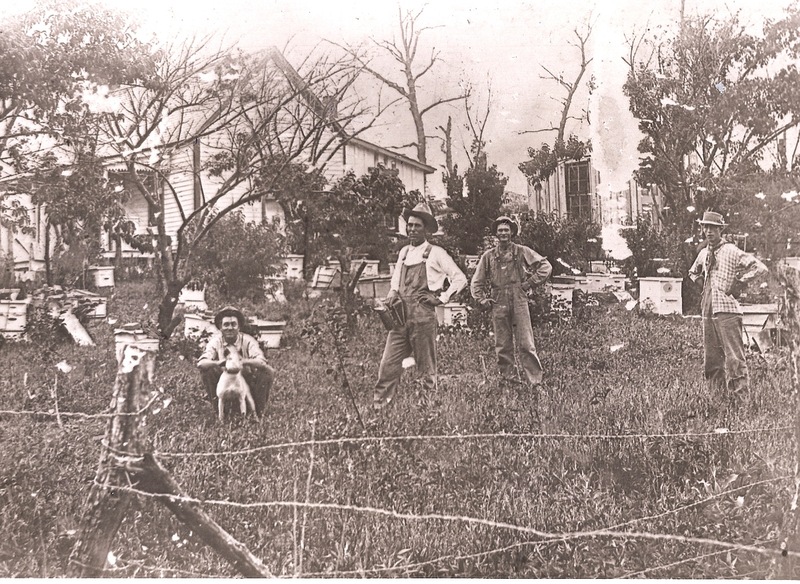 By 1901, according to The Southland Queen, a bee-keeping journal of the time, there were 150,000 bee colonies in Texas! Imagine that – 150,000 bee colonies. It’s mind boggling. 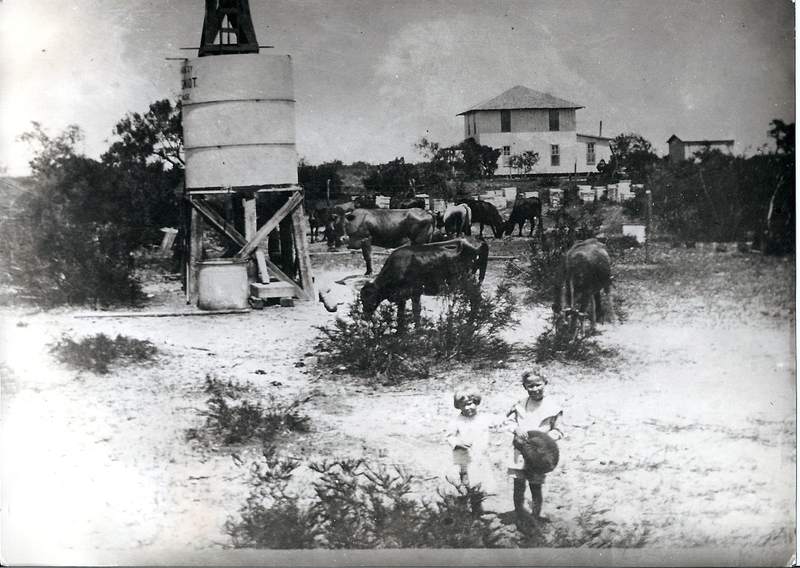 My maternal great-grandfather Oscar Oliver Saunders (1881-1969) kept bee aviaries on both his farms – first in north, Texas near Trenton (Fannin Co) and later west of San Antonio in Kinippa (Uvalde, Co) and also an aviary at the Black Water Hole on the Dry Frio River. His aviary in Trenton was kept under the peach orchard to protect the hives from the hot sun. My second cousin, Allene Mandry remembers always having honey on the table growing up in Knippa. “I was never stung by the bees as I was there all the time. Grandpa said bees got to know the smell of people and that they know strangers. Mother used the honey to sweeten everything, and the honeycombs were a special treat. 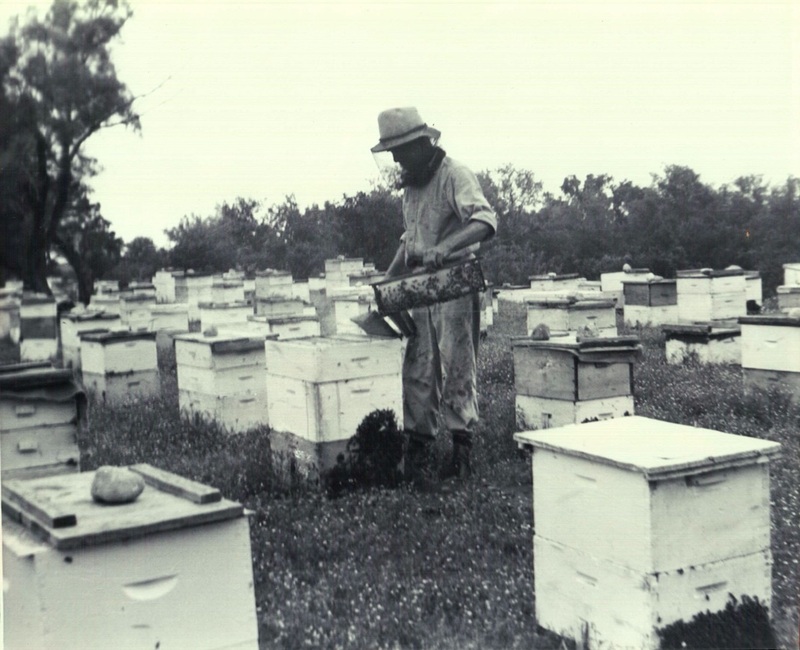 They’re hard to find today as the bees don’t even have to make their own combs.” I’d like to explore my family’s beekeeping history in greater depth in a future blog post. Wow! I got hooked not only because Esme is like short for my name, Esmeralda, but the amazing way you write. I will definitely follow you and look forward to read more of your writing. follow me! 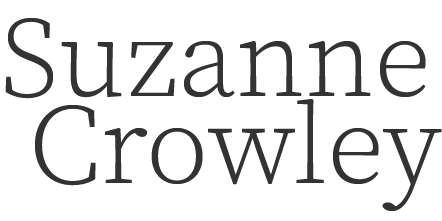 I’m @suzannecrowleyofficial on Instagram.